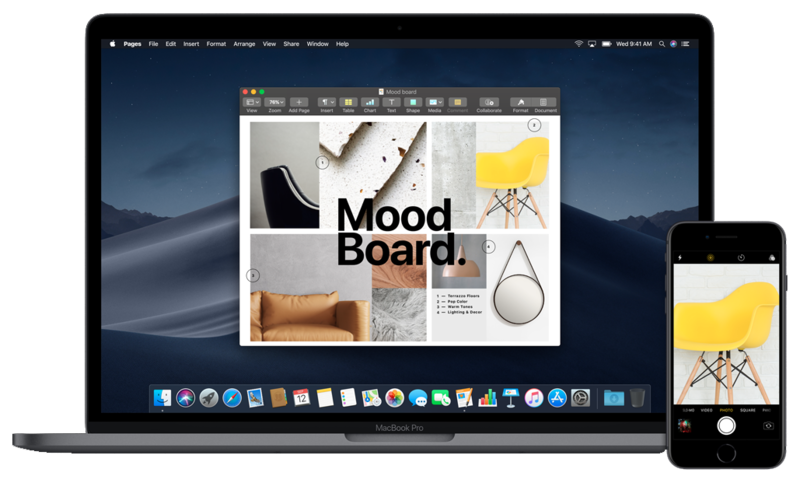 In June, at the Apple (WWDC) Worldwide Developers Conference, Apple announced it’s new macOS Mojave update which was finally released on September 24th. 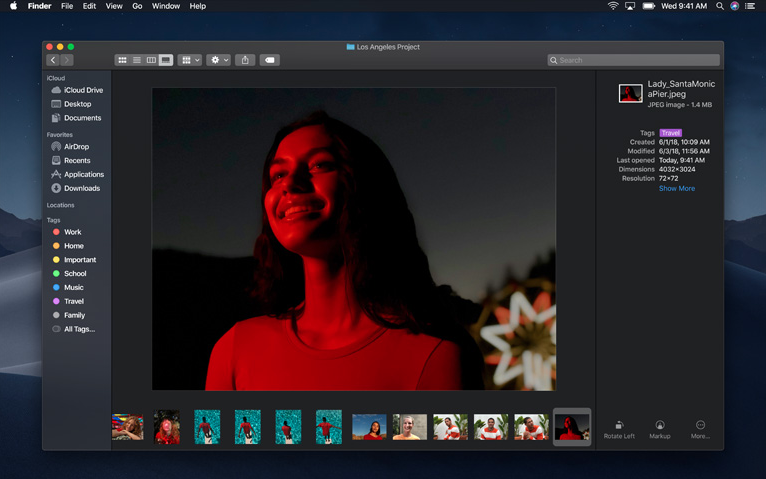 This software upgrade has new features include a new Dark Mode, desktop Stacks, Group Facetime, several improvements to the finder feature, security upgrades and more. 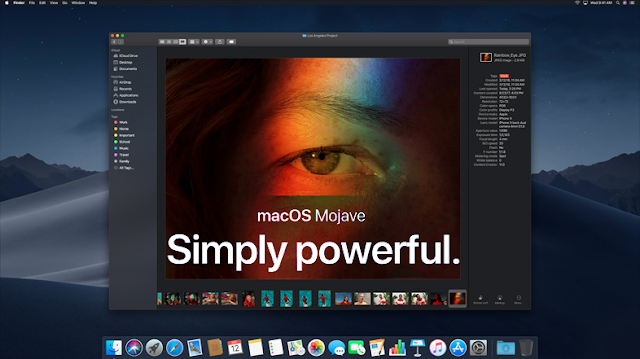 Many of the changes in macOS Mojave have been inspired by how Macs are currently used. Many of the updates improve the OS experience so that users can spend more time doing what matters. Some of these new features are also geared at bringing the best out of Mac’s hardware, taking full advantage of their sensitive trackpads and retina displays. Read on to discover more about the best new features in doing download them for yourself. Dark Mode is one of the most discussed features of this software upgrade. Supported by apps such as Finder, Keynote, Safari, Calendar, and Messages, Dark Mode is designed to improve focus by drawing your eyes to what matters. Eyes are typically drawn to light, whereas most apps feature dark text on white backgrounds. This new feature instantly switches certain apps to a darker colour, which improves the viewing experience for users, and also reduces eye strain on those who work or spend a considerable amount of time on their Mac. When was the last time you organised your desktop? This update is sorely welcomed by those who answer, “never.” Desktop Stacks is an elegant way to automatically arrange cluttered desktops. Desktop items are sorted stress-free by file type, tags, or date, and neatly stacked on the side of your desktop. With a clean desktop, users can enjoy the new Dynamic Desktop feature, which is not necessarily practical but stunning nonetheless. Dynamic Desktops display landscapes that change as the day passes in sync with your local time. Users can wake up to ocean sunrises or end their workday with the full magnitude of a desert sunset. For some, it may be a gentle reminder to step outside. Finder gets a significant new update with it’s Gallery feature, which displays your file much more significant than previous updates did, allowing for a better preview the file. The gallery feature also displays the metadata of the file alongside it and will enable you to quickly edit it without opening the file. Photographers can search for photos by aperture, camera type, exposure and more through this feature. Additionally, the new Finder also allows users to make quick edits to their files without opening them, such as rotating images, creating PDFs or trimming video clips with no hassle. Users can perform quick actions on multiple files at once, and even automate this process through customised quick actions with Automator Workflow. 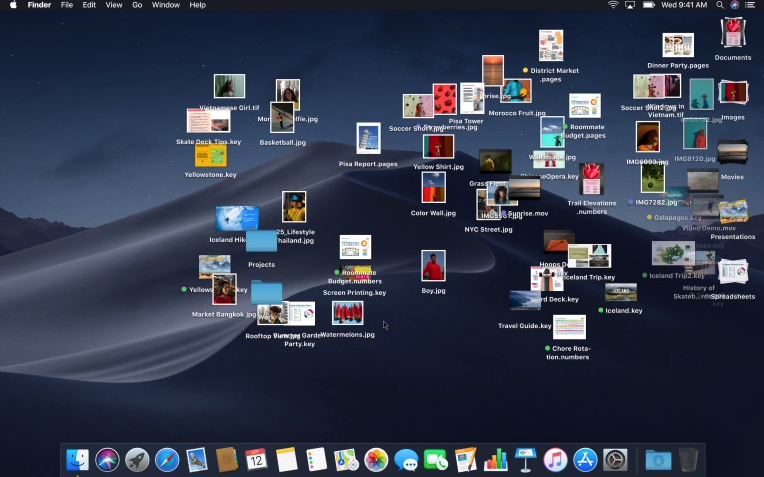 Quicklook is almost unrecognisable in the macOS Mojave update. 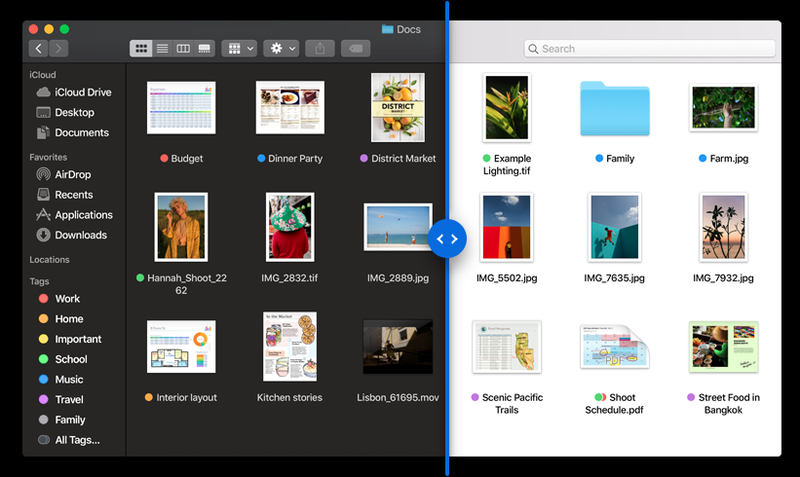 Like the improved Finder, users can edit files without opening them. Tapping the spacebar while a file is selected opens up a large preview and a whole range of editing options depending on the file size. Users can mark up and draw on PDFs, crop and rotate images, as well as to name a few. Files are also easier to share on the new Quicklook too. Users with their iPhones and have it immediately appear on their Macs. Quickly upload vacation photos, receipts, and more directly into OS apps by just selecting “Insert a Photo” from the File panel. Though screenshots have always been handy in previous OS updates, Mojave features a more robust way to use this tool. Launching the Screenshot Utility or pressing Command-Shift-5 brings up a clean menu that allows users to take different types of screenshots, or to record video and audio of their screens. After taking a screenshot, it animates to a thumbnail to the corner of your screen. You can drag this thumbnail directly onto an application to use it without saving it- freeing up space on your hard drive. Additionally, the menu feature also allows users to choose custom destinations to save a screenshot each time, which helps users stay on top of the organisation. 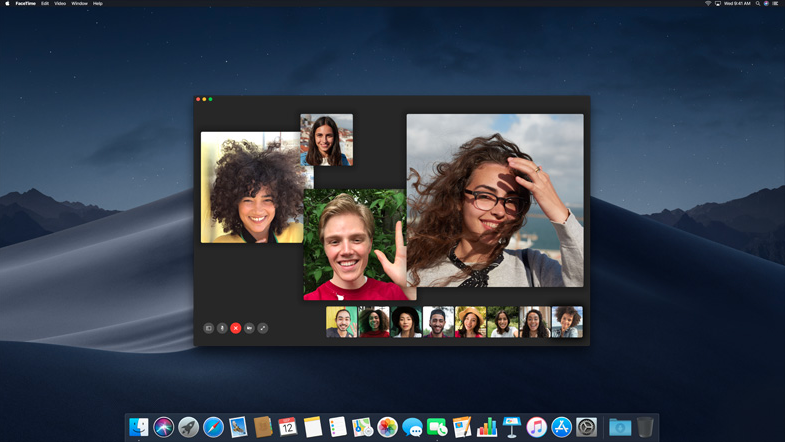 While not yet released, Apple has announced a new Group Facetime feature that will be released on macOS Mojave later this year. Apple says you’ll be able to jump on a Group Facetime call, even an ongoing one, with up to 32 people on your Mac very soon. Apple has taken more of their most popular iOS apps and made them available on the Mojave software update. Users can follow stocks and use voice memos on their computers, but perhaps the most exciting integration is the Home app. Users can tweak their ACs, lock their doors, and more. The new App Store is designed to enhance user experience when browsing and selecting new applications. Editors play a more prominent role in curating featured apps and collections, and in-depth articles with video previews help users make better decisions when choosing new applications. Mojave is the next line in protecting user privacy and security. Safari’s enhanced Intelligent Tracking Prevention blocks advertisers from monitoring your digital fingerprint by only sharing simplified profiles. It also prevents social media and other embedded widgets where you like to share and comment on content from tracking you as well. macOS Mojave allows users to have better control over what they choose to share with other applications too. There are stricter permissions for applications, not just for voice and camera use, but also mail and message history as well.